I feel like doing the moonwalk up and down my walkway in this ensemble. 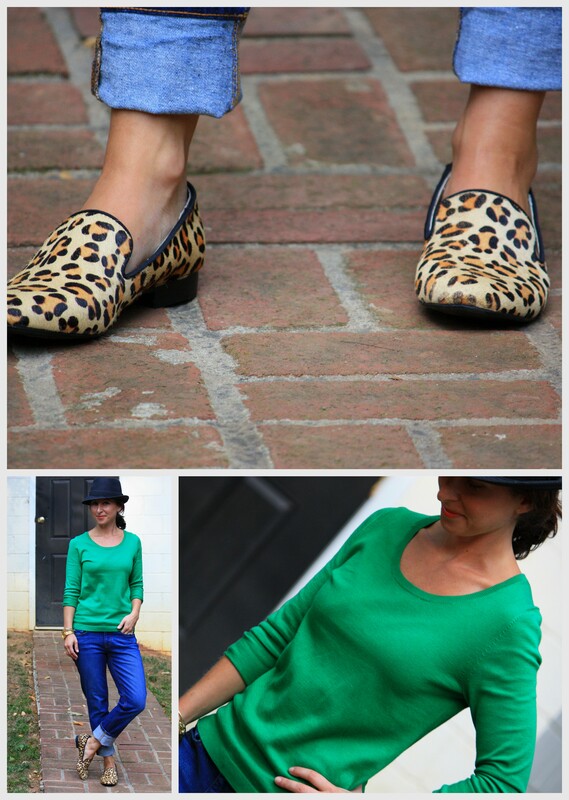 Maybe it’s the hat or the leopard loafers, but they both played off this green sweater quite nicely. If you don’t already have a pair of loafer’s in your closet, I highly recommend getting a pair this fall. They are super cute and super comfortable. I had one guy tell me he liked my style because I was wearing my “slippers” out at night. I’m taking casual to a whole other level people, who’s with me??? Loafer’s, pajama shirts…soon we won’t be washing our hair or putting makeup on. OK, maybe that’s too far. But loafers have a new spot next to stilettos. Your feet will love you, maybe you’re wallet too! Have a great labor day weekend! TIP: Hate to give up your sparkly, high heels, but interested in this new footwear? Look for a pair that are bedazzled with a slight heel! Options for you here, here and here. If anyone finds a money tree, please let me know! I really wanted the J. Crew collection photo floral skirt, see it here, but it is way out of my price range at a whopping $600! In fact a lot of items from their fall collection were out of my price range forcing me to look elsewhere for less expensive doppelgängers of the real items I wanted (first world problems, I know). Has anyone else notice this upwards price movement at J.Crew? They have always been on the pricier side and I know I’ve read articles relaying that they were trying to move toward “collection” type pieces, but I guess I just didn’t want to believe it. I’m starting to feel like I’m being shoved out as a customer there. More power to you if you can afford the collection wear, but I am an avid bargain shopper. I liked buying the “mistakes,” as Mickey Drexler would like to call the sale items, but even those are getting pricier and pricier. It’s a good thing stores like H&M are there to pick up the pieces! Is J.Crew leaving the “little guys” in the dust and moving on to the high-end customers? Do you feel abandoned? P.S. Thanks for letting me rant and rave today and for stopping by! I have a love for mixing prints and for mixing in a few masculine pieces here and there. If you aren’t on the pattern mixing bandwagon yet, my blogging buddy who inspired this look has an amazing blog that gives you step by step instructions on mastering this phenomenon. 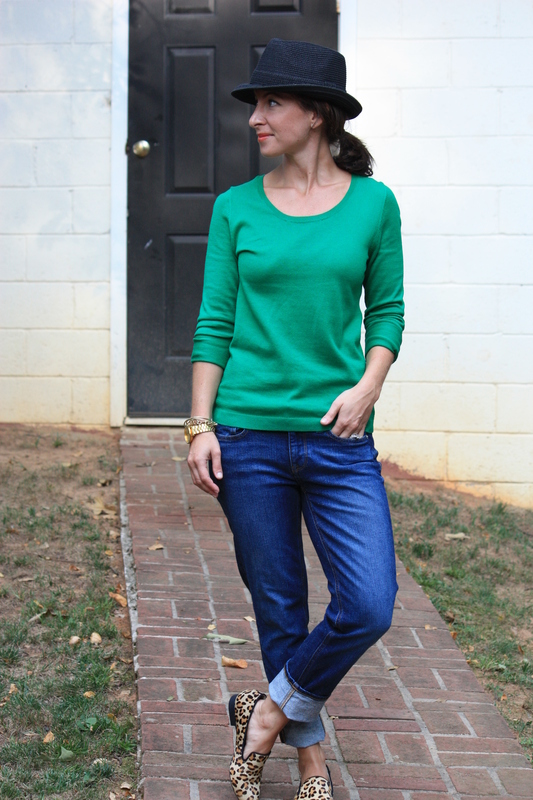 Check out her inspirational look and her lovely blog at Joy and Sunshine! You will be a print master in no time. On another note, I feel like my outfit says part business meeting, part volleyball on the beach anyone??? I guess you could call this the mullet suit: business on top, party on bottom! P.S. Bookworm alert! 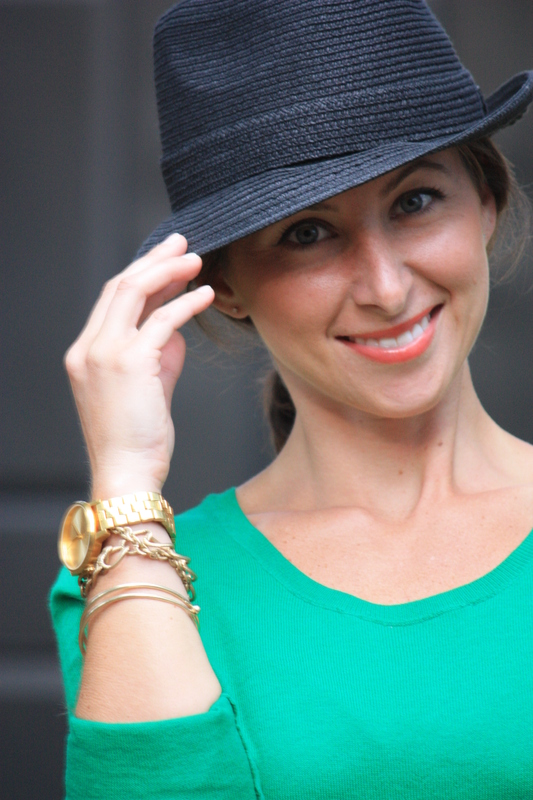 Download this amazingly talented blogger, Britt Skrabanek’s novel, Beneath the Satin Gloves! Visit her blog here.